Freedom is commonly recognized as the struggle for basic liberties, societies based upon open dialogue, human rights and democracy. The idea of freedom is central to western ideas of modernity, but this engaging, accessible book argues that if we look back at the history of the idea of freedom, then what we mean by it is far more contested than we might think. To what extent does freedom have a ‘social’ component, and how is it being reshaped by our dominant consumer society? This book represents a wake-up call to all those who thought our basic ideas of freedom were settled. Today, the West sees itself as having a crucial role to play in exporting freedom into the far regions of the world – but our own freedom seems more under threat than ever. Linking ideas of public and personal freedom, Stevenson explores complaints about ‘big brother’, the arrival of the business society and the erosion of democracy to show how our freedoms are far from secure. Seeking to affirm the importance of freedom, this book provides a compelling argument for linking it to other values such as equality and responsibility. Drawing upon a range of critical thinkers and perspectives, Stevenson asks what freedom will come to mean in the future, in a world that seems increasingly fragile, uncertain and insecure. 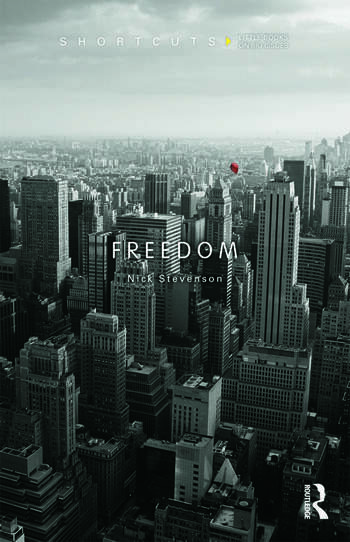 Nick Stevenson is a Reader in Cultural Sociology at the University of Nottingham. He has written widely on questions of culture and politics. His published books include The Transformation of the Media (1999), Making Sense of Men’s Magazines (2001), Culture and Citizenship (2001), Understanding Media Cultures (2002), Cultural Citizenship (2003), David Bowie (2006) and Education and Cultural Citizenship (2011).